There is a particular kind of fear associated with finding wasps in your home. Not only is it scary – it is overwhelming. If you see invaders in your house, it means that there is a way they can keep coming in. 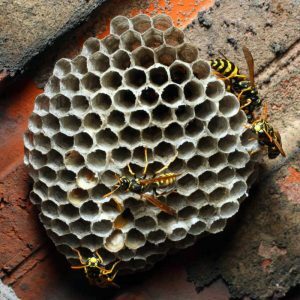 There is not an easy way out when it comes to removing wasps, but there are services and techniques to help push those pests out of your house. With the help of the best Frisco, Texas exterminator, you can rest assured that your home will be safe and sound. So, what can you do to work on removing wasps from your life? Work outside to inside. In your yard, make sure you are not creating a welcome environment. Removing trash and unwanted food will remove the temptation for wasps and other insects. Even animal food can smell attractive, so consider eliminating�all foods (human or pet) near your house. Your screens on doors and windows should be secure, not allowing insects to fly in open areas. Additionally, wasp decoys can be bought online or at a home improvement store to divert wasps’ attention. Use a homemade repellent. There are certain oils that wasps steer clear of, and making a concoction of different oils can keep wasps at bay. Peppermint oil is the oil that may affect them the most, so putting peppermint oil on a cotton ball around the outside of your home can keep wasps away.� While an exterminator can remove wasps for good, geranium, cloves, and lemongrass oils have also been proven effective, so experimenting with these oils can reap specific results in your own home. As a bonus, they are free of harsh chemicals. Create a trap. Instead of using oil, you can lure in wasps using a sugar and water concoction. By cutting off the neck of a water bottle containing sugar water and placing that neck back on the bottle upside down, the trap draws wasps into the body of the container without a way to fly out. This�container may pull in wasps, but this is not a solution large enough to control your pest problem completely. While you call upon an extermination service in Frisco, you can use this solution as a temporary fix. Smoke out a wasp nest. 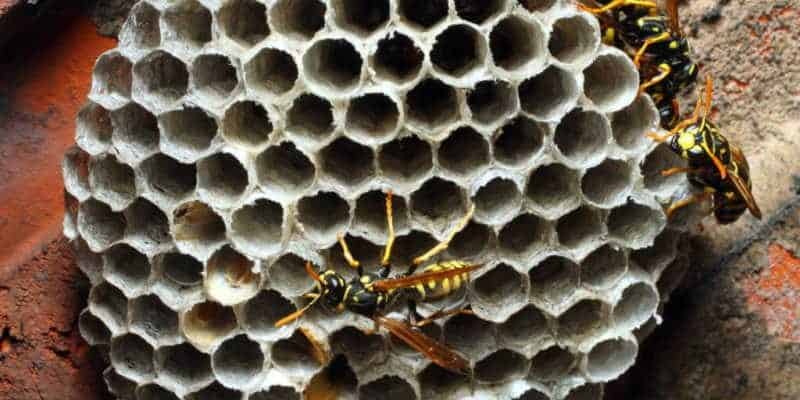 If you have found a nest near your house, lighting a grill or fire underneath it will draw wasps from it. Once you are sure no wasps remain, you can knock down the nest with a broom or other long object. This is the most dangerous option as it requires getting up, close, and personal with a nest full of wasps, so being sure that all wasps are clear of the nest before removing it is crucial. Whether you have been dealing with wasps for days, weeks, or even years, there is one way to remove them for good – using Safe Pro Pest, the best Frisco, Texas exterminator around. To schedule an appointment to get your home back from a wasp invasion, give them a call at (972) 435-0700.